Aerial cable way brake spring with rubber buffer to suit either 9mm or 10mm diameter wire cables. 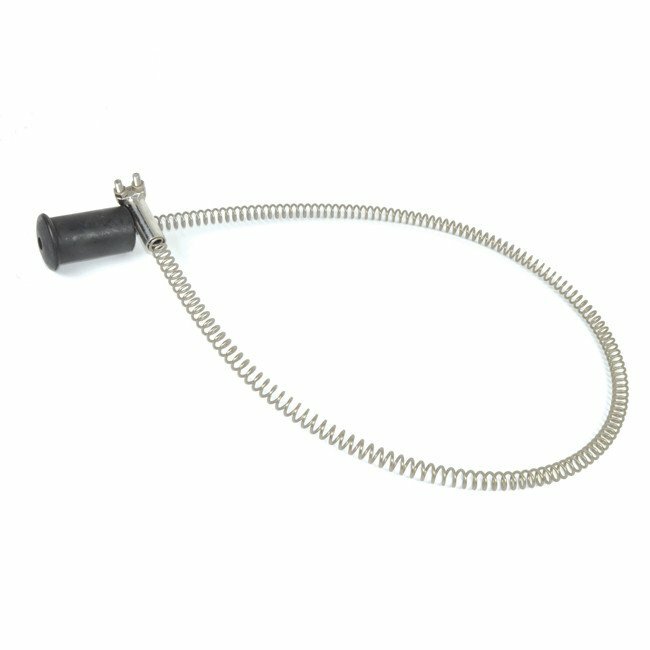 This product has recently been upgraded from a 2mm stainless steel wire spring to a 3mm providing a heavier duty longer lasting spring. It is recommended at 1.5m long spring is used at the starting section and a 3.000m long spring is provided at the run out or landing section. You're reviewing: Aerial Cableway Zip Wire Brake Spring In 1.5m or 3.0m Lengths.